On Friday, September 28th, 119 employers across engineering disciplines arrived at Lerner Hall for the Engineering Career Fair (ECF). Over 1,900 undergraduate and graduate students from Columbia College, Columbia Engineering, General Studies, and the Graduate School of Arts and Sciences were in attendance to meet with employer representatives. 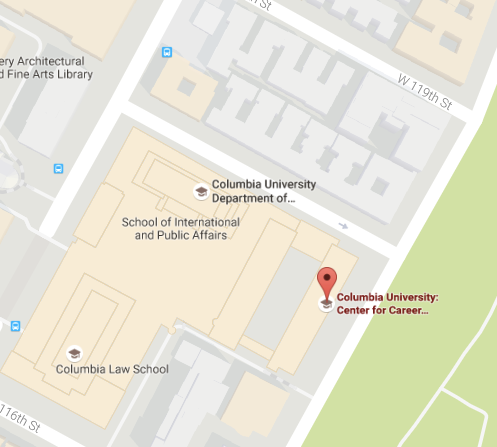 Employer representatives included both recruiters and engineers, with more than 100 Columbia Alumni participating! HOW DOES ATTENDING A CAREER FAIR BENEFIT MY JOB OR INTERNSHIP SEARCH? Whether you’re looking for a full-time role in construction management, considering an internship with a startup, curious about the skills needed to be a software engineer, or simply exploring career opportunities, the Engineer Career Fair can provide you with information for all stages of your career search. Employers come to campus to answer the questions you can’t find on the internet. They also want to put a face with a name. Making a position in-person connection can take your resume to the top of the review pile. Learn how to make an impression at your next career fair from employers!